Crafted whole flower hemp extract in hand-pressed African marula nut oil (300mg CBD). Marula oil is rich in essential fatty acids Omega 9 and Omega 6. CBD blended into hand-pressed African Marula oil. A delicately golden, nutritious oil is easily absorbed by your body – taking the CBD with it. Easy to add to smoothies or taken with meals, it’s great to simply take a few drops on the tongue too. Suggested Use: Dietary supplement. Take 3-10 drops, up to three times per day or as directed by healthcare practitioner. Ingredients: Marula Nut Oil (Sclerocarya birrea), Cannabidiol Hemp extract (Cannabis sativa). Cannabidiol (CBD) is the main Cannabinoid found in industrial Hemp. 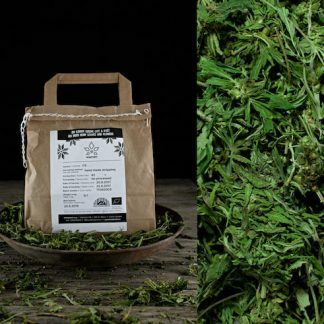 This safe phytochemical is gaining increasing attention for its therapeutic properties, with research into its value in treating anxiety, depression and psychosis, seizures and epilepsy, inflammation, nausea, cancer and auto-immune and neuro-degenerative disorders. 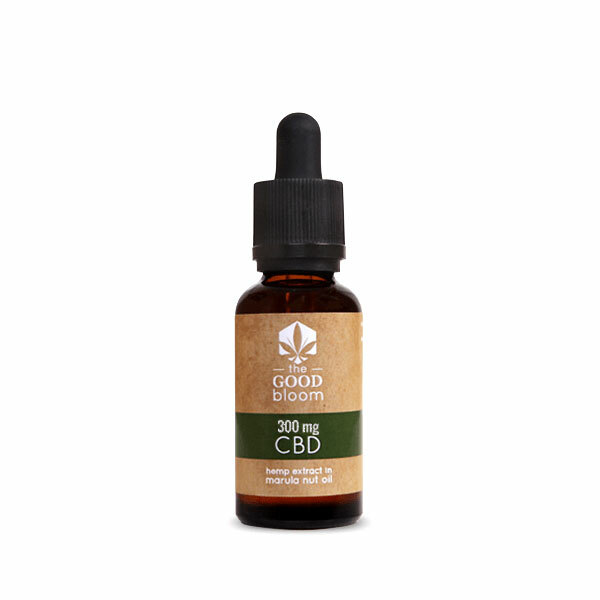 CBD is non-psychotropic, and is safe to administer to children, pets, and (most) compromised individuals. 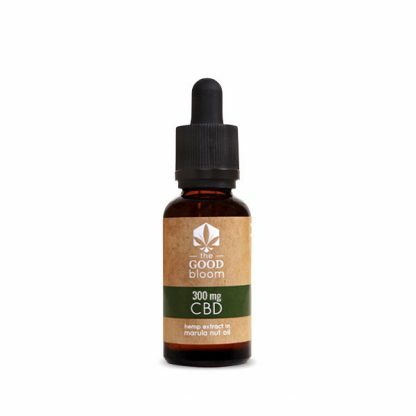 CBD has no known adverse side effects at any dose, but an excessive amount of CBD could be less effective therapeutically than a moderate dose. Our oil is made from laboratory certified European hemp leaf and seed oil, carefully blended with hand-pressed African Marula nut oil. Marula Oil is rich in essential fatty acids Omega 9 and Omega 6 that deeply hydrate and reduce redness while nourishing, healing, moisturizing and improving skin elasticity. It is suited for both internal and topical use.